There’s no “us” without “u”! 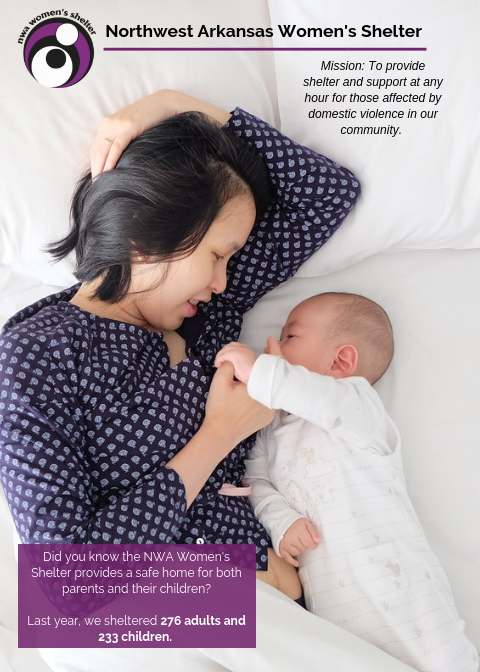 Join the Northwest Arkansas Women’s Shelter as a volunteer and uplift victims and survivors as they journey towards hope and healing. Apply here or contact Antonella Kinder, our Development Coordinator, at akinder@nwaws.org for more information. More than 136,000 people in Northwest Arkansas are affected by violence. 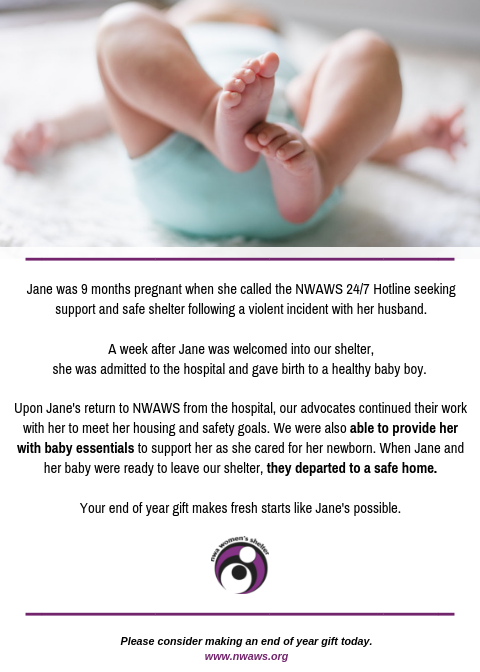 One of those 136,000 people is surely your family, neighbor, or friend who needs access to shelter, resources and advocacy to begin their journey towards a life free of violence. Building a peaceful community is a team effort—and we need you! Join us in breaking the cycle of domestic violence in Northwest Arkansas. One of those 136,000 people is surely your family, neighbor, or friend who needs help to escape violence today. Our shelter is in an undisclosed location. Contact us for information about our shelter and resources to begin your journey towards hope and healing.